Every once in awhile a book comes along that challenges deep seated assumptions and beliefs, upends one’s complacency, and plants seeds of discontent in the mind of the reader. Mike Lofgren’s new book, The Deep State, accomplishes all of this and more. In one sense, this is a very scary book. The old axiom that fact is stranger than fiction applies in this case. Most Americans have a vague sense of how the government works, but few really understand it. In reading Lofgren’s well-researched book, it quickly becomes apparent that he has taken the time and made the effort to educate the rest of us. Bringing his experience as a former Capitol Hill minion to bear on the topic, Lofgren connects the dots between the fiction of a “government of the people, by the people and for the people” and the reality of the military-industrial-monied interests that actually control the U.S. political and governmental processes. Lofgren starts Chapter 2 with a quote from the 32nd President of the United States, Franklin D. Roosevelt. FDR made these comments in April 1938, almost 80 years ago, and they continue to ring true today. 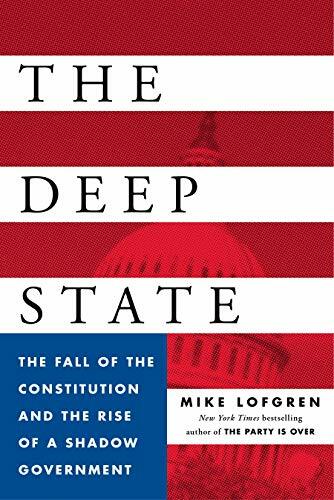 Lofgren is meticulous in his dissection of what he has labeled the “deep state.” The deep state is invisible and operates behind the scenes and outside the sight and knowledge of the American people. Reading Lofgren’s book makes one wonder if elections matter any longer--or if they every mattered. Can there ever really be a democratic system that truly represents the will of the people? If one is to believe Lofgren, it depends on how “people” is defined. Lofgren points out that many of Obama’s national security picks were from the Bush administration. That raises an eyebrow when considering Obama’s criticism of Bush’s policies. It certainly doesn’t explain why he would hire the same people who pursued a course of action that he dismissed with scorn. Then there is the hopscotching between government service and the private sector. Military operations are being increasingly handled and controlled by private contractors. That makes it more difficult to cut military spending because it would cut private corporate profits. President Dwight D. Eisenhower is credited with inventing the term “military-industrial complex,” but it is doubtful the former president would recognize the extent to which the “industrial” part of that complex has insinuated itself into military operations. The U.S. government spends so much money on projects that benefit corporate interests that it cannot afford to maintain the nation’s infrastructure, feed its children, or maintain the American middle class. Take the National Security Agency (NSA) as one example. Its budget is secret, and its resources are vast. Yet the NSA could not prevent foreign hackers, some with ties to foreign governments, from gaining access to the federal government’s computer systems. That would seem to be of paramount importance to the NSA. It can listen in on a U.S. citizen’s cell phone conversations and grab our emails but is unable to protect the federal government from technological assaults. Consider the impact that closing foreign bases and opening domestic military bases would have on local economies throughout the country. Who better deserves to benefit from those military expenditures than the U.S. taxpayer? The country is in the middle of a presidential election cycle. The Republican contenders seem to be relying on fear to promote their candidacy. No one is talking about the dismal condition of American cities and infrastructure, lack of jobs, or the growing gap between the rich and the poor. The U.S. seems to be on the way to emulating Argentina by dismantling the middle class. People without money, without hope of something better, are easily manipulated and controlled. This is a thought provoking and, at times, stomach churning venture into the realities of government operations and politics in the United States. Lofgren has taken considerable care to explain the situation and offer legitimate suggestions to resolve it. Reading The Deep State may keep readers up at night—and that might be a very good thing. Joan Burda is an award-winning author of several books and is a member of the American Society of Journalists and Authors.